Starting today, we’re rolling out our newly expanded Safety Center in six countries across Europe (Belgium, France, Germany, Italy, the Netherlands and the U.K.). You'll now be able to find even more tools, easy tips, and information about data security, privacy controls and how to use technology in a way that is right for your family, just in time for European Cyber Security Month. More countries and languages will be available in the coming weeks. Helping people manage their privacy and security is integral to everything we do. Over the years we’ve created many tools and are always improving them so you’re in control: Google Account gives you access to all the settings to safeguard your data and privacy; Privacy Checkup helps you quickly review and adjust what data Google uses to personalize your experience; and My Activity helps you review the activity data connected to your account. Parents can also find information in the Safety Center about how to use tools like Family Link and YouTube Kids to set digital ground rules, and get tips on how to talk with their children and teens about being considerate, setting boundaries, and staying safe online. You can also find links and advice on important issues like cyberbullying, screen time and oversharing from child online safety experts from organizations like FSM and fragFINN in Germany, e-Enfance and Génération Numérique in France, Parent Zone and Internet Matters in the United Kingdom, and Expertisebureau Online Kindermisbruik in the Netherlands. 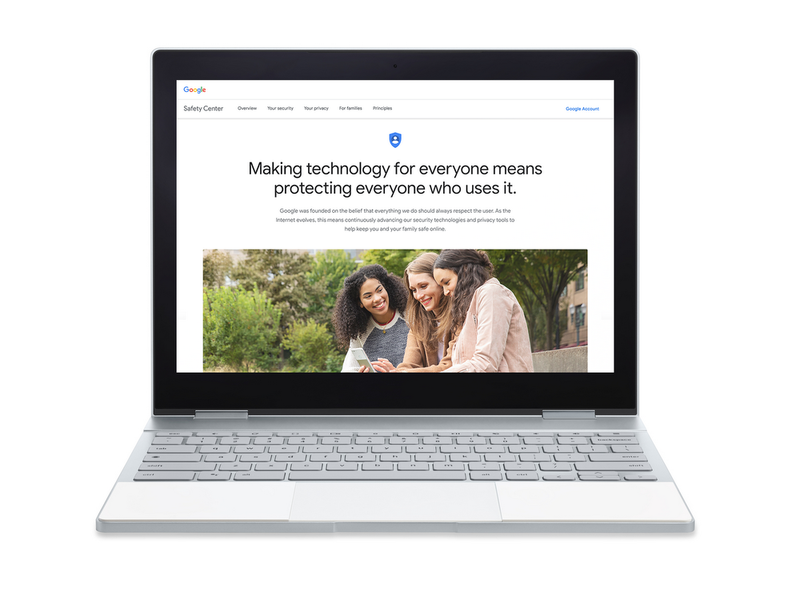 The Google Safety Center is part of our ongoing commitment to give you tools and information to control how your data is used in Google services. As technology keeps changing the way we live and work, you can expect our tools to continually evolve to fit your needs.